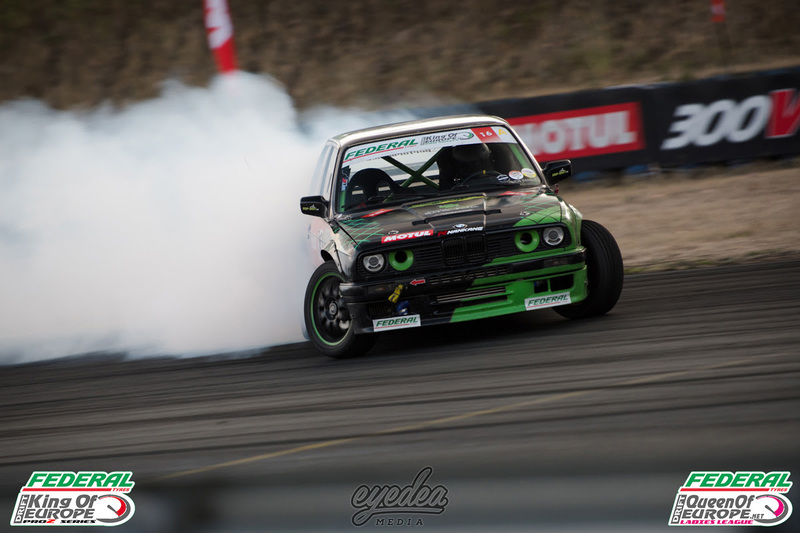 Home > Drift > Drifting > Formula Drift > King Of Europe Drift > News > Clemens Kauderer seals the win in Germany with his fresh E92 build! Clemens Kauderer seals the win in Germany with his fresh E92 build! 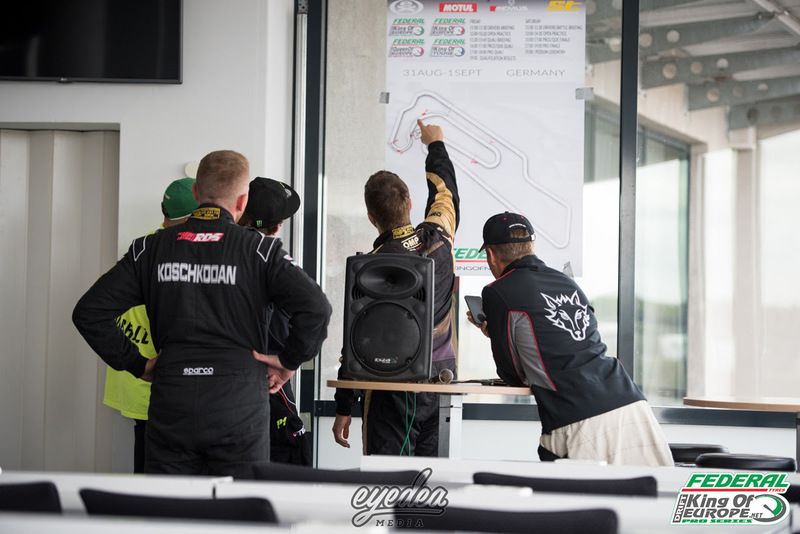 It may be the second half of the season, but that didn't stop Clemens Kauderer from unveiling his brand new HGK BMW E92 before pushing it to the limits to secure the top spot of the podium after an all-Austrian final against Alois Pamper to cause the ultimate surprise at Round 6 in Germany. It was all eyes on series leader Marco Zakouril throughout the event with yet another brand new car as his long-awaited BMW M2 build was finally unveiled. He looked increasingly confident with throughout the weekend before sealing the third place spot on the podium. Christos Chantzaras, Stavros Grillis and Takis Konstantaras travelled from Greece to return to the competition. 2017 final round winner, Chantzaras, threw down an incredible run to secure P1 in ProSeries qualification to prove he is here to fight for the top in the remaining rounds of the season. 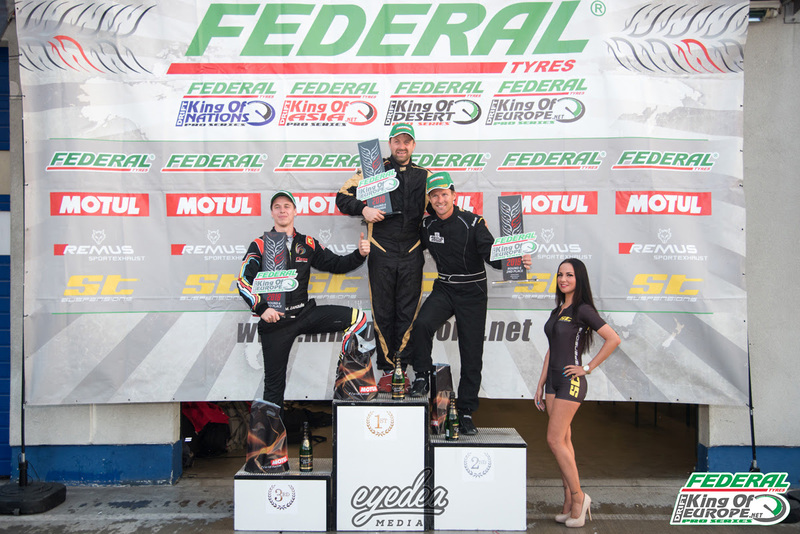 Series leader Marko Zakouril pushed his M2 to second place with Rick Van Goethem in third. 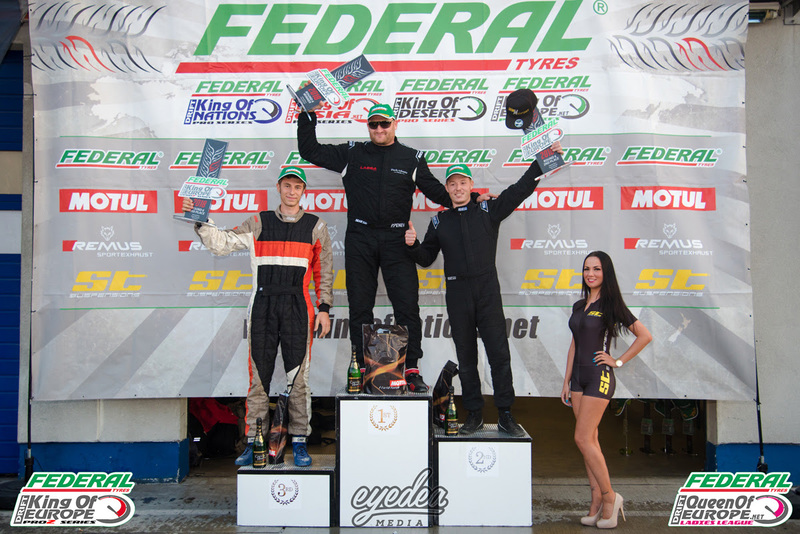 In the Pro2 series, it was Maxi Grimm that secured the P1 qualification spot on home soil with Sebastian Mauszewski in second and Gunther Denk in third. For Queen of Europe, Denise Ritzmann's impressive season continued as she too landed P1 the qualifying spot in her homeland. 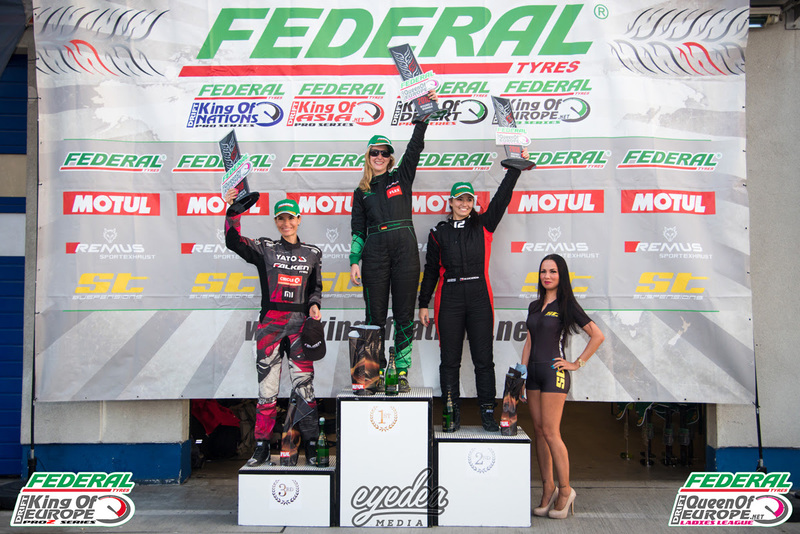 Michaela Sacherova took second place with Karolina Pilarczyk in third. 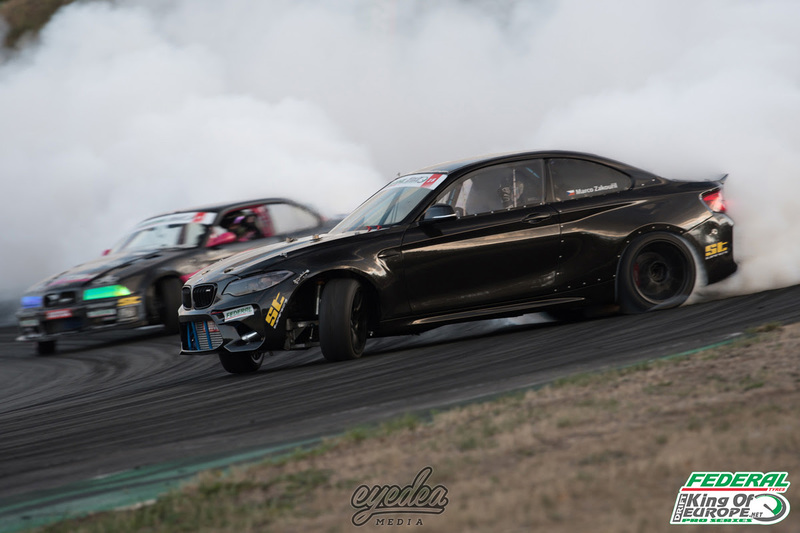 As the final battles got underway at the famously tricky high-speed 'triple left hander' layout, there was certainly no shortage of incredible battles before the Top 4 contenders were decided.It would see top qualifier Chantzaras go up against Clemens Kauderer in the brand new E92. Meanwhile series leader Marco Zakouril would face an in-form Alois Pamper. After an initial 5-5 deadlock in the opening run, Kauderer managed a 7-3 advantage in his lead run to secure his spot in the final battle! As Zakouril and Pamper stepped up, Zakouril looked more comfortable than ever in the new M2 as he slayed his tyres, securing an 8-2 advantage in his lead run. However, disaster struck as a rare mistake proved that the M2 is still an untamed beast for now, handing Pamper his place in the final battle with a 10-0 scoreline. As the small final got underway, it was this time Chantzaras that made the unlikely mistake, handing a 10-0 advantage to Zakouril. Despite Chantzaras best efforts, Zakouril wasn't willing to leave without a trophy as he sealed the third spot on the podium. In the all-Austrian final, Kauderer and Pamper went head to head and after an initial 5-5 deadlock, Kauderer pushed his incredible new build as hard as he could and sealed a narrow 6-4 victory to land the coveted top spot! In the Pro2 series, Alexandre Strano went up against Markus Denk in the small final, and it was Strano that deservedly took the third place spot with a 6-4, 6-4 advantage. In the Pro2 final, despite an initial 5-5 deadlock, Pavlin Penev continued his quest for the title once again as the 6-4 advantage sealed him the top spot against Maxi Grimm! This means that Pavlin Penev sits at the top of the overall rankings with 350 points, with Sebastian Matuszewski in 2nd place with 310 and Alexandre Strano in 3rd with 260 as we head to the double-points Pro2 final round in Greinbach, Austria! The Queen of Europe final saw Denise Ritzmann seal the perfect victory on home soil this weekend, securing a 7-3, 4-6 victory in a close final against Michaela Sacherova. Denise Ritzmann now sits at the top of the overall rankings with 360 points, with Karolina Pilarczyk in 2nd place with 320 and Ionita Lenuta in 3rd with 280 as they too prepare for the double-points Queen of Europe final in Austria!